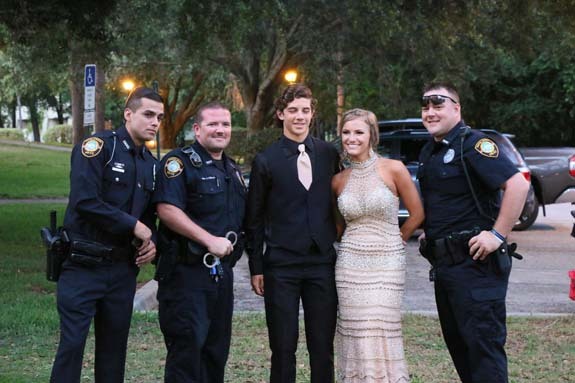 TARPON SPRINGS, FL (KTRK) -- They say you gain a new family when you join the police force. 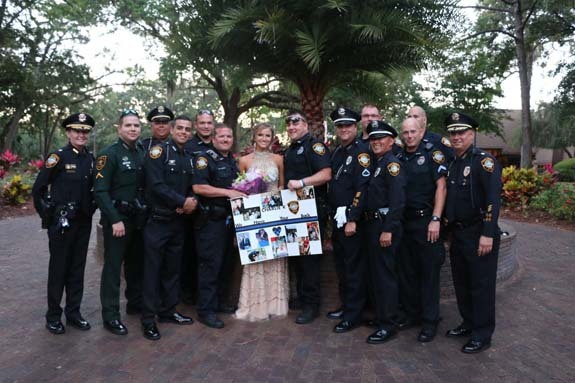 That bond was evident among a dozen officers in Florida who came together for the daughter of a slain colleague. 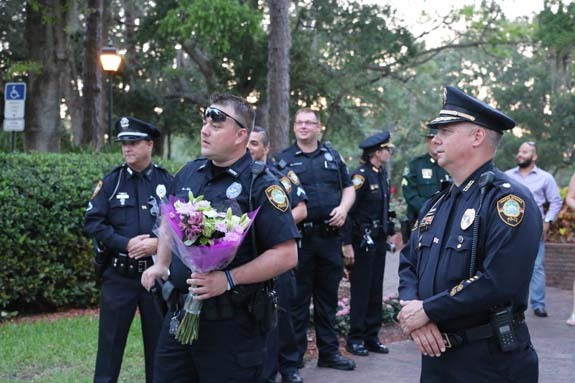 Tarpon Springs Officer Charles Kondek Jr., was fatally shot December 21, 2014 while on the job. 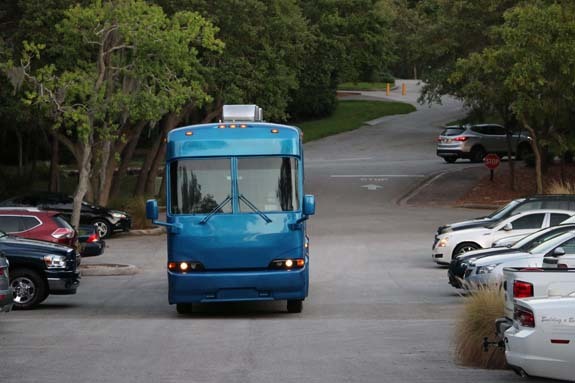 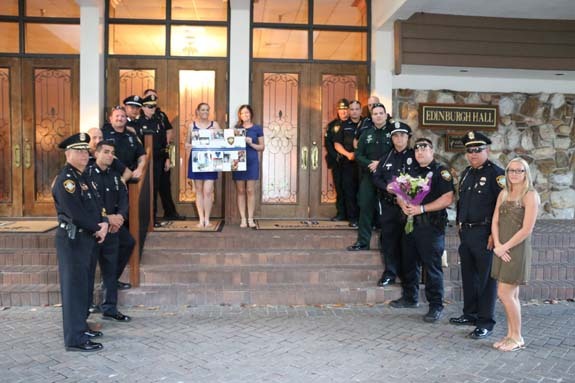 A year and half later, his colleagues were still there for him and his family. 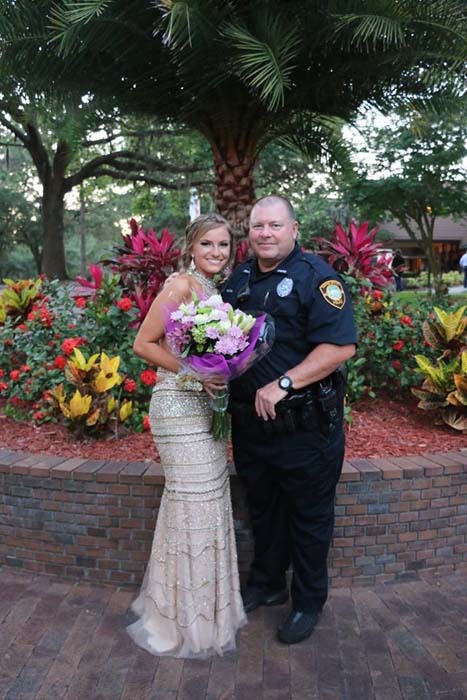 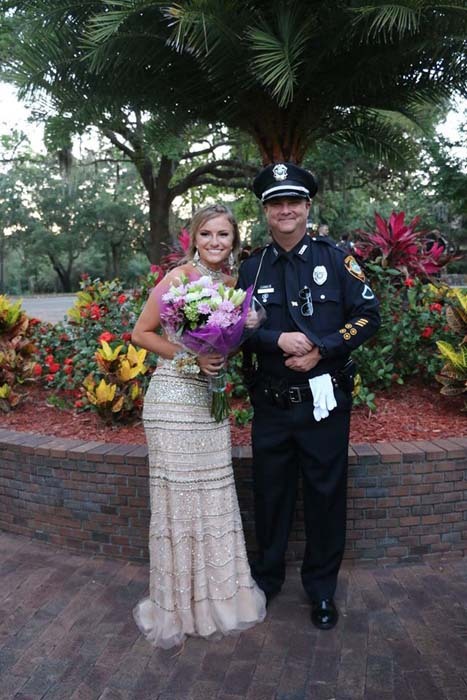 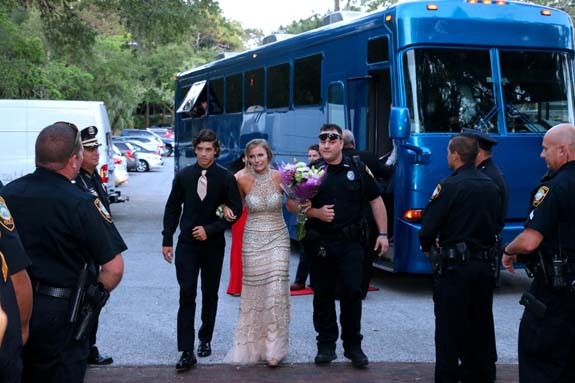 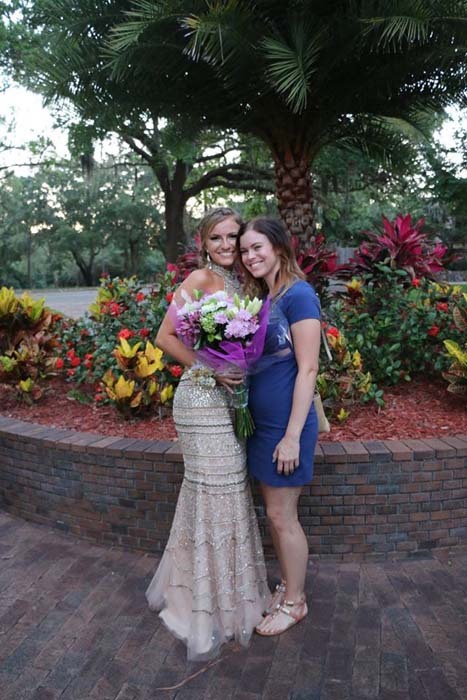 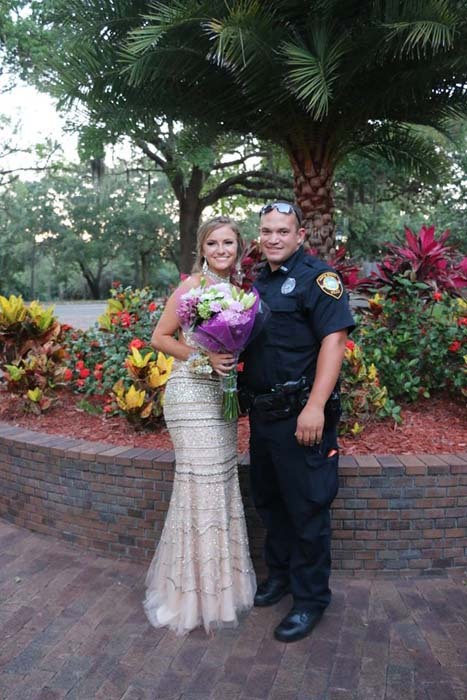 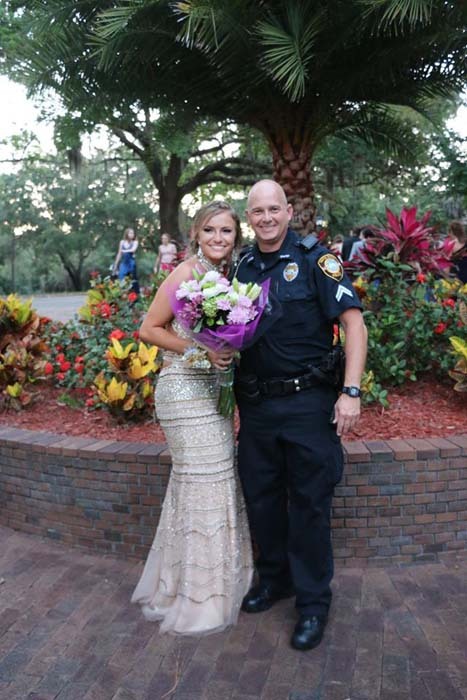 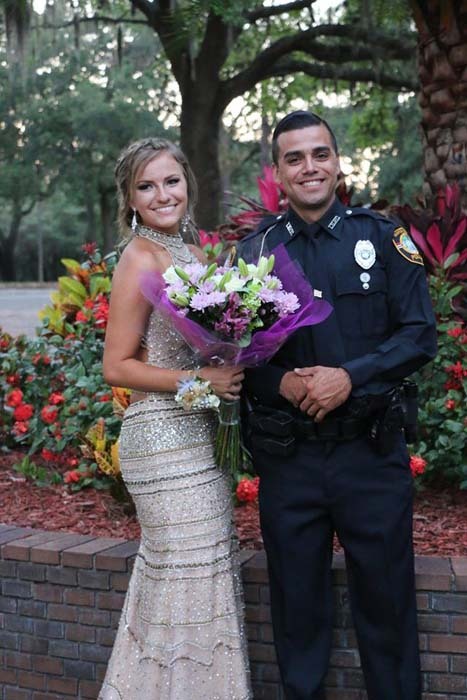 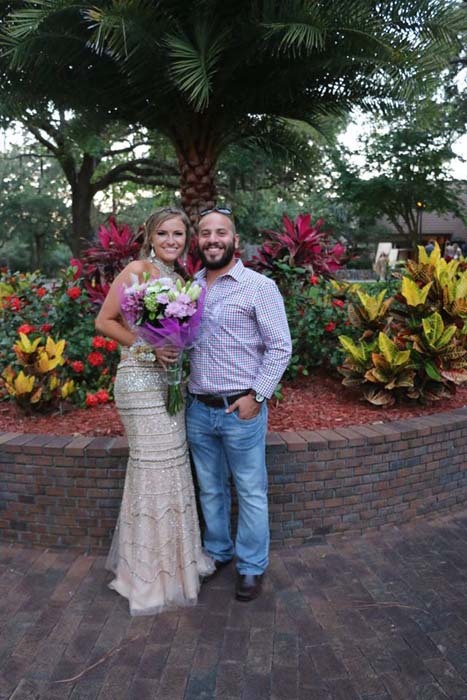 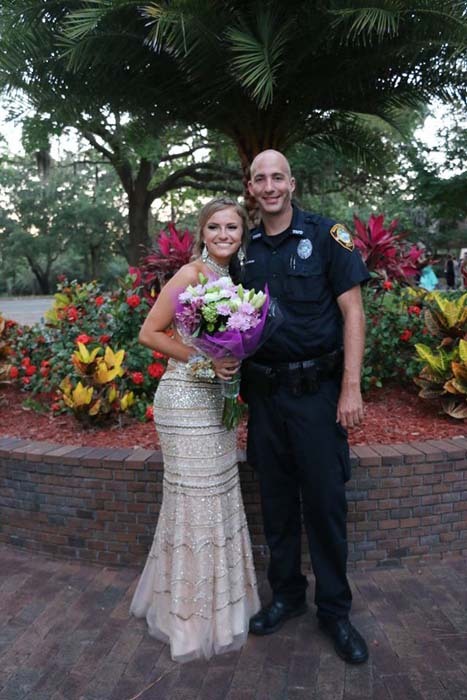 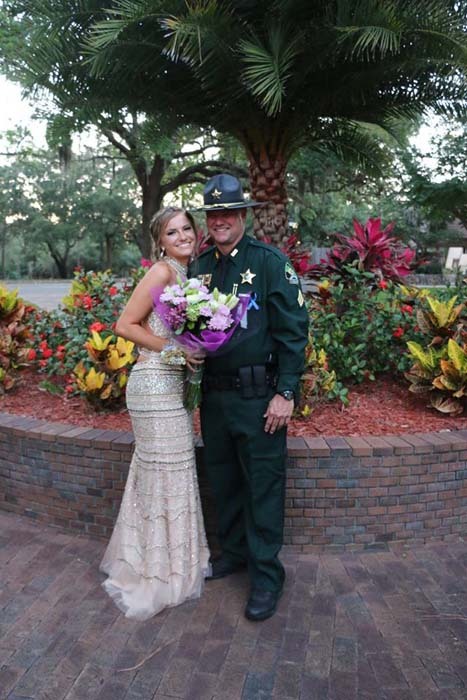 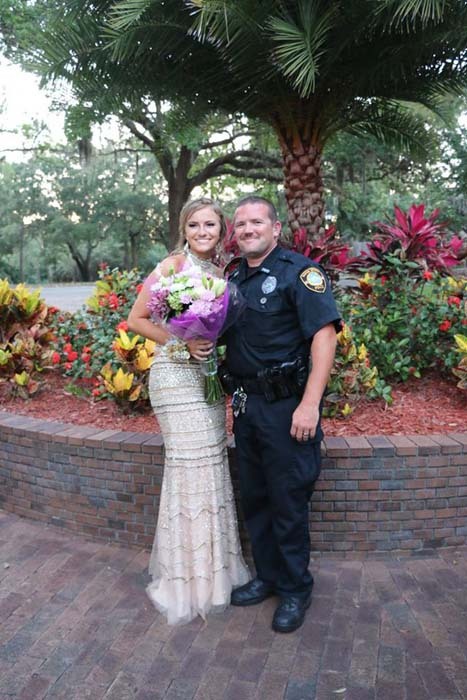 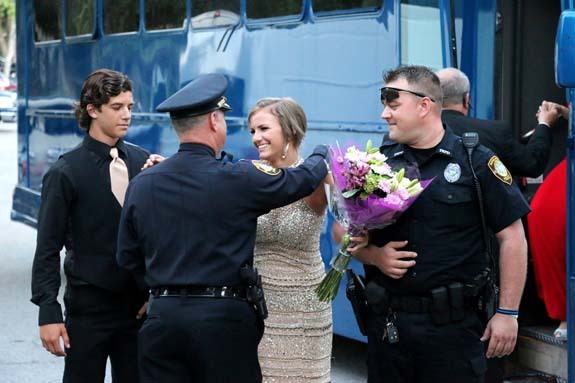 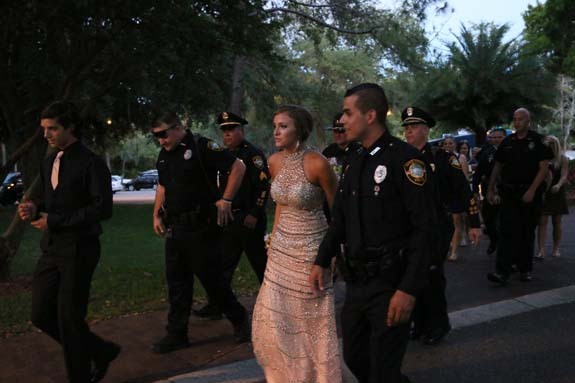 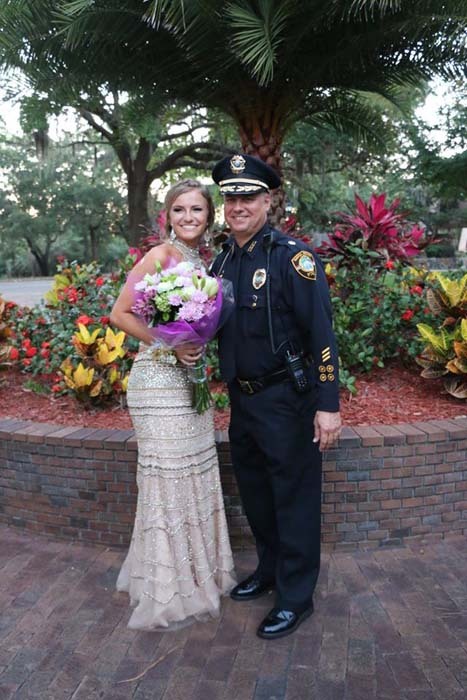 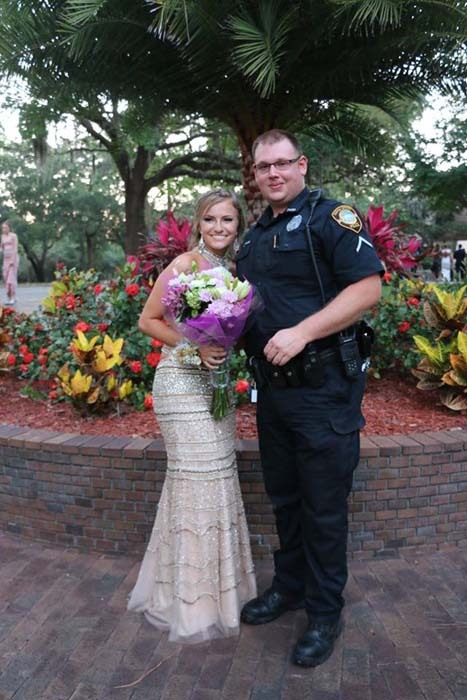 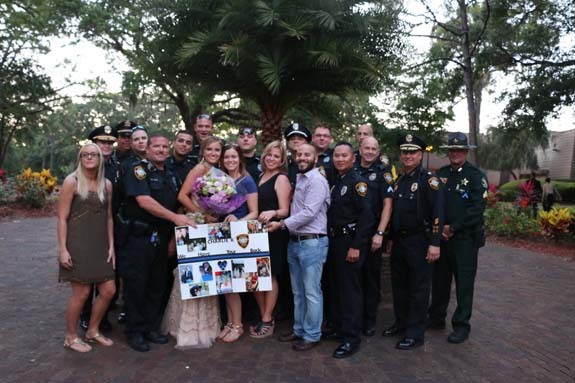 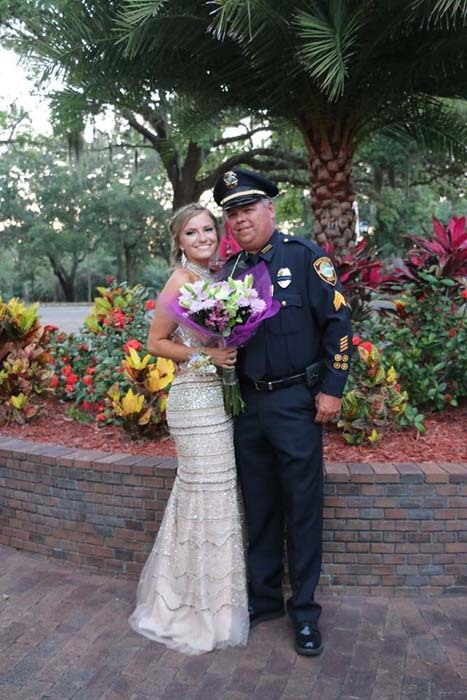 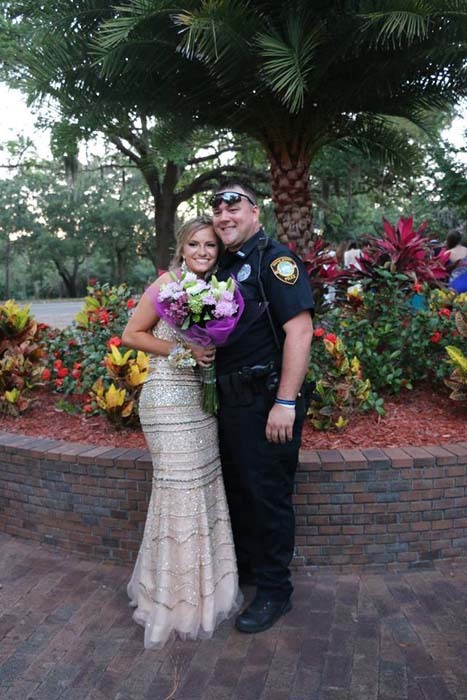 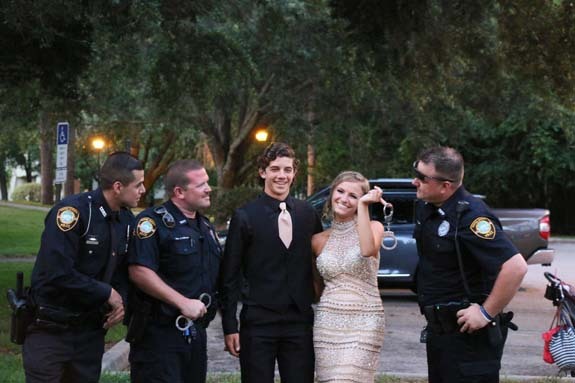 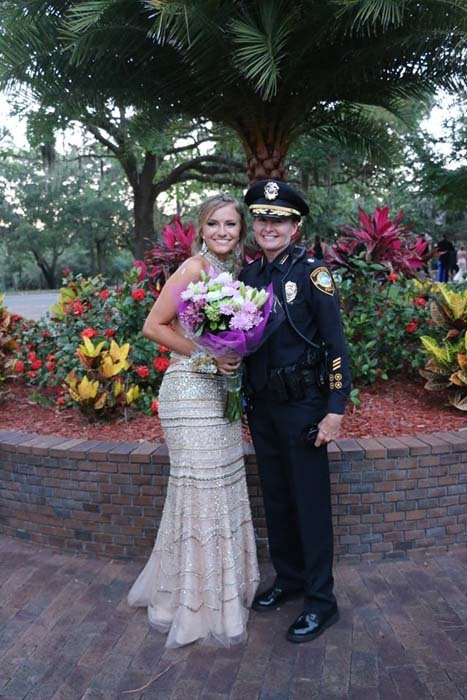 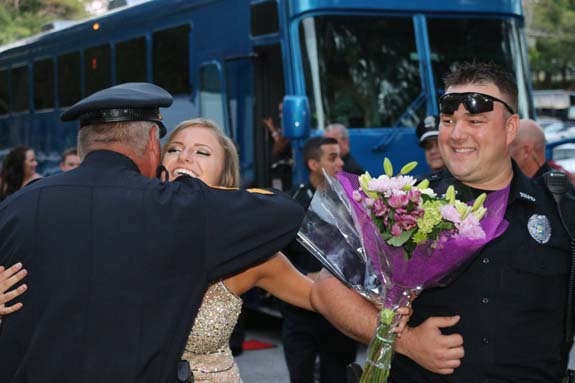 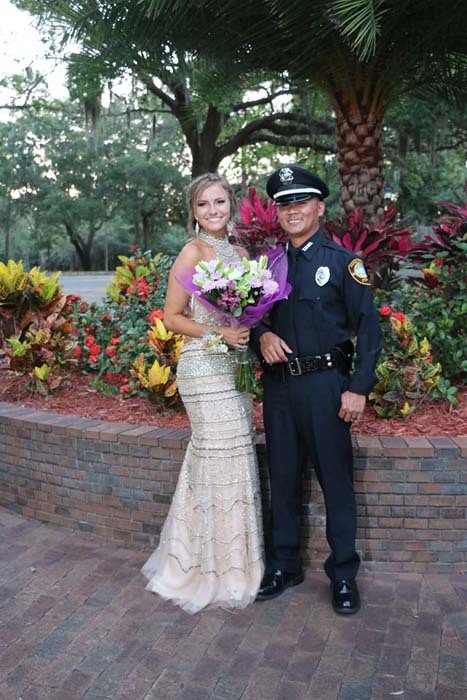 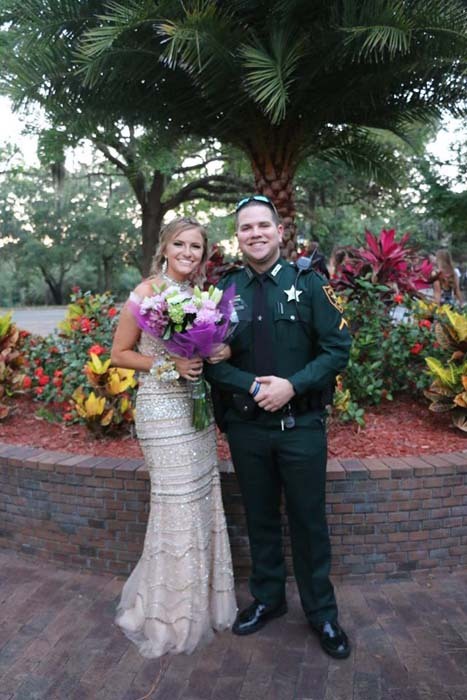 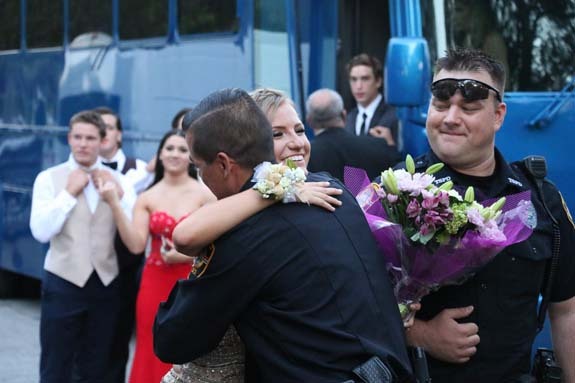 Members of the Tarpon Springs Police Department, Pinellas County Sheriff's Office and the Pasco County Sheriff's Office escorted Kondek Jr.'s daughter Aleena to her high school prom Saturday night. 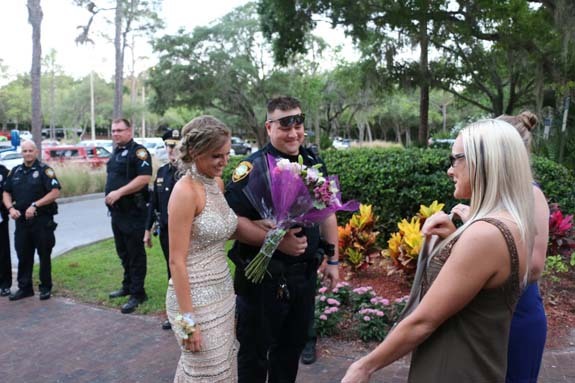 The Tarpon Springs Police Department posted pictures of the pre-prom procession on their Facebook page. 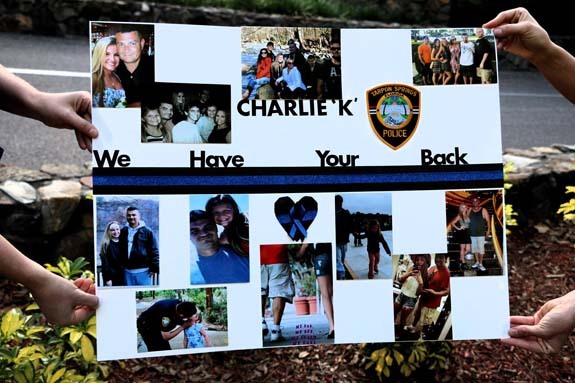 "It was an honor and privilege to be able to do this for Charlie as we know he would have been there himself," the police department wrote in the Facebook post. 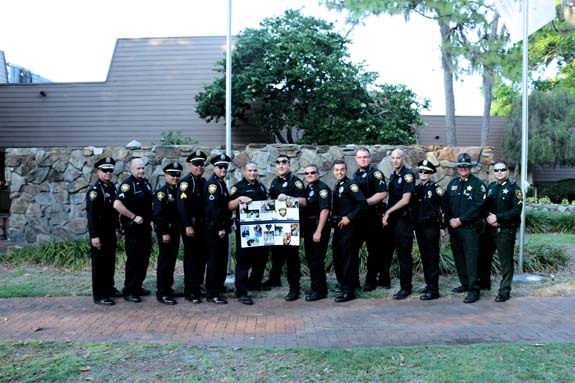 "We Will Never Forget - TSPD Blue Family."